BMD office are now located in the Creative Science Park, located near the University of Aveiro. 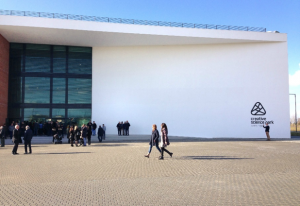 The aim of the new hub is to facilitate cooperation between the University of Aveiro; local governments, and businesses. The open structure fuels innovation and promotes cooperation between different companies. BMD software moved a new office space located in the science park. We are looking forward to explore the new opportunities this change will bring. PACScenter now supports annotation tools that enable different access – and privacy levels for each user. The new feature enables different levels of visibility of the annotations on an image, offering two options: a study and a user level. The annotations can be viewed or not, depending on the user role and given permission. It is also possible to share annotations between users registered in the platform. Moreover, it may be integrated with third-party software and they can change the platform accordingly. In addition, the login also contains new authentication and modern protocols – besides the LDAP and Active Directory, we also support Single-Sign-On with OAuth2 protocols. Do you want to know more about the new features? Contact us! Meetings in medical departments are quite often difficult due to the large number of cases and complex issues that need to be discussed. If meetings take place across multiple areas, and involve people from different backgrounds and medical specialities, the process can be even more complicated. To address this market need, BMD developed MDTeam, a new solution to facilitate decision making in multidisciplinary teams. MDTeam is an integrator platform that can integrate different information systems and data sources. It allows integration with Active Directory/LDAP, and supports different multi-disciplinary requests and the configuration of custom forms. In addition, MDTeam supports HL7 integration and different Medical Imaging and Vital signs vendors. Are you interested in MDTeam or would you like to create your custom environment for Decision Making ? Contact us! Data catalogues are commonly used to capture and present information about specific entities. However, the construction of a web-based catalogue for a particular scenario normally implies the development of a specific and dedicated solution. BMD contributed to the development of MONTRA, a open source framework that facilitates the setup of health data catalogues and the integration and discovery of multiple datasets. MONTRA is being successfully used in several IMI European projects. The area of e-health has become increasingly recognised in the past few years. We want to stay updated on the latest developments in this area to ensure that we offer the safest and most effective solutions to our clients. 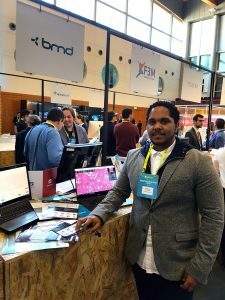 Three BMD team members attended the eHealth summit held in Lisbon, from March 20 till March 23. The 2018 edition was the second edition of the annually held summit, and attracted many professionals interested in e-health. During the conference we showcased PACScenter, CardioBox and NeoScreen, and discussed our views on improving healthcare through the use of telemedicine. The main topics during this conference were the integration of artificial intelligence and data, the development of technology applications used to improve health care services, and how to approach telemedicine. During the information sessions, different ideas on the various topics were shared and discussed. 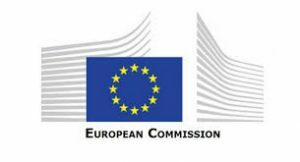 T he General Data Protection Regulation (GDPR) (EU) 2016/679 is a regulation in EU law on data protection and privacy for all individuals within the European Union. At BMD we checked our compliance with regulations and improved our internal processes to make sure that they were adapted to the new regulation.